To download/view, please click here. This document provides information on best practices and collaborative principles to develop and sustain Family Drug Courts. The Guidelines will assist policy makers and practitioners to enhance and expand these programs across the country. Family courts, child welfare, substance abuse and mental health agencies continue to be challenged to meet the needs of families in which parental substance use disorders contribute to child maltreatment. Family Drug Courts (FDCs) are a rapidly growing and effective response to serving these high-risk families. Well-functioning family drug courts (FDCs) bring together substance abuse treatment, mental health and social services agencies with the court and attorneys to meet the diverse needs of these families. FDCs provide intensive judicial monitoring and interventions to treat parents’ substance use disorders and their effects on children. Their goals ensure that children are safe and have permanent caregiving relationships. Emerging evidence supports the use of these models. 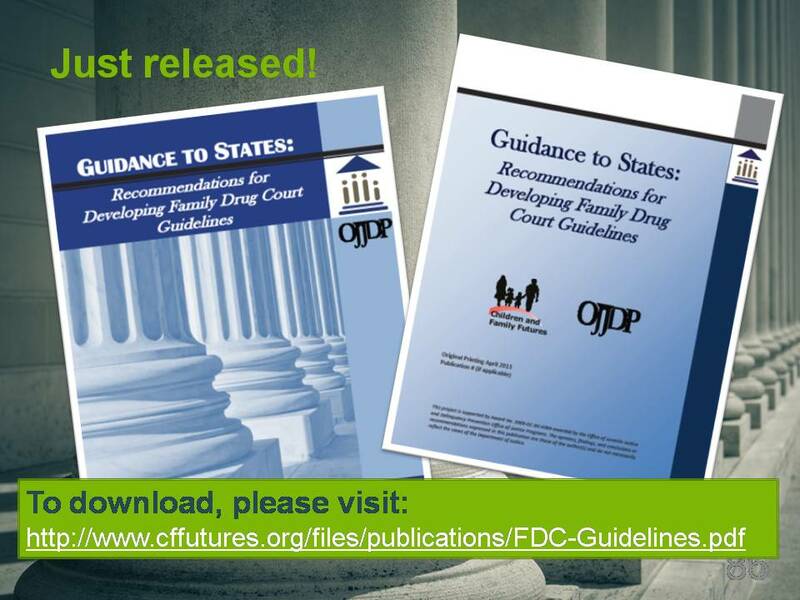 With support from the Office of Juvenile Justice and Delinquency Prevention, Children and Family Futures has partnered with leading drug court organizations and practitioners and has developed Guidance to States: Recommendations for Developing Family Drug Court Guidelines which provides a blueprint on implementing evidence-based practices in Family Drug Court services. The authors synthesized the results of a national review of family drug court policies and practice and the relevant research literature and have provided a roadmap for states and local jurisdictions to implement evidence-based practice in family drug courts. You are invited to join the FDC discussion at by posting on this blog as FDCs across the nation move forward in implementing the Guidelines and solutions for children and their families. 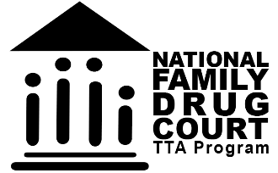 For more information about the Family Drug Court Technical Assistance and Training Program, please click here.